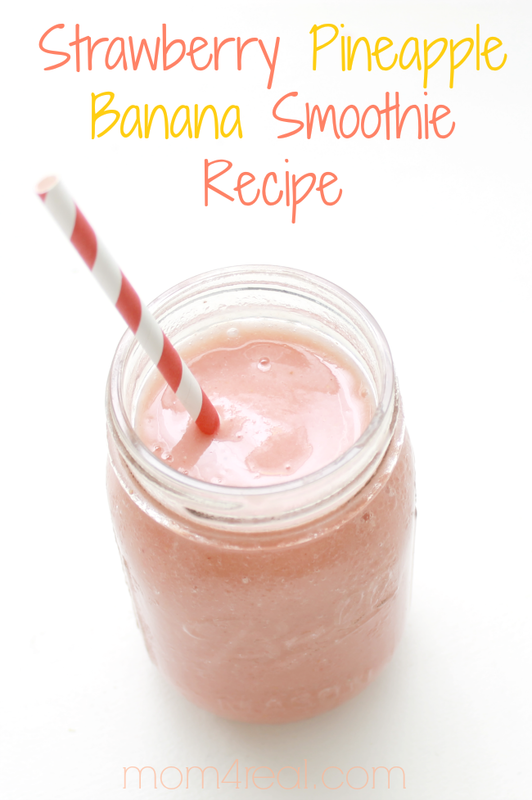 Today I want to share my new favorite breakfast smoothie recipe! I’m not much of a breakfast eater, but I’ve been finding myself hungrier in the mornings when I work out, so I needed to find something to satisfy my post workout hunger. I decided a smoothie would be perfect! So, my strawberry-pineapple-banana smoothie was born! It’s the perfect way to start my day, and I know that once I’m finished, I have already taken care of 2 servings of fruit at the beginning of my day! 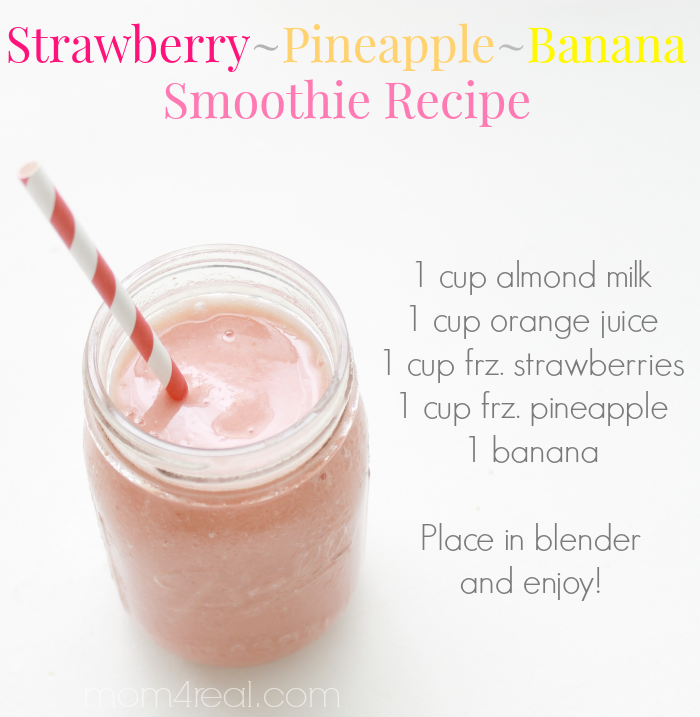 My husband and kiddos love them too which makes this recipe even better in my eyes! 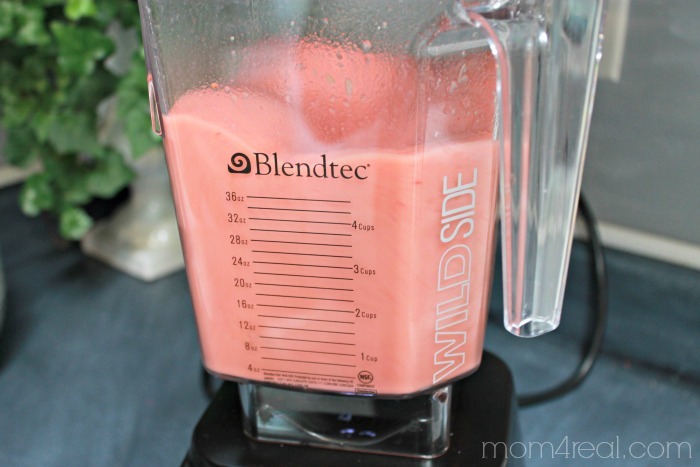 I am going to share my recipe with you and give you the chance to win a Blendtec Blender of your own so you can make your own fantastic smoothies as well! You will not believe the power that this blender packs! I’ve made smoothies, salsa, guacamole, almond milk, coconut curry sauce, margaritas and even peanut butter! 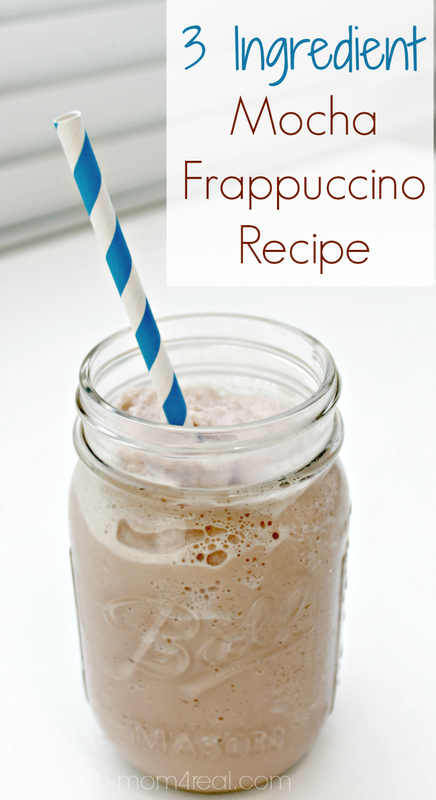 You can also make Frappuccino’s using the Blendtec…check out my 3 Ingredient Mocha Frappuccino Recipe, HERE! So without further ado…here is the recipe! 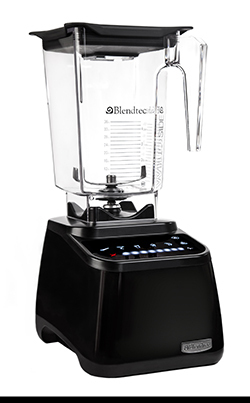 Be sure to pin it and enter the Blendtec blender giveaway below! I need this blender!! I don’t have one! I hope I win.! Looking forward to making smoothies! YUM! Entered, Pinned. My MIL would love this. Absolutely, Margaret! Your comment will definitely be counted! I would like this blender to make some delicious fruit smoothie blends.